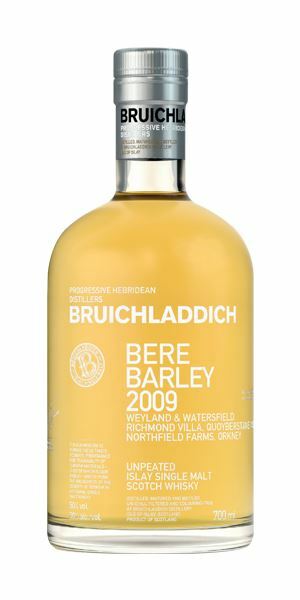 As the 32nd Fèis Ìle gets under way, Dave Broom picks six new whiskies united by their Islay origins. 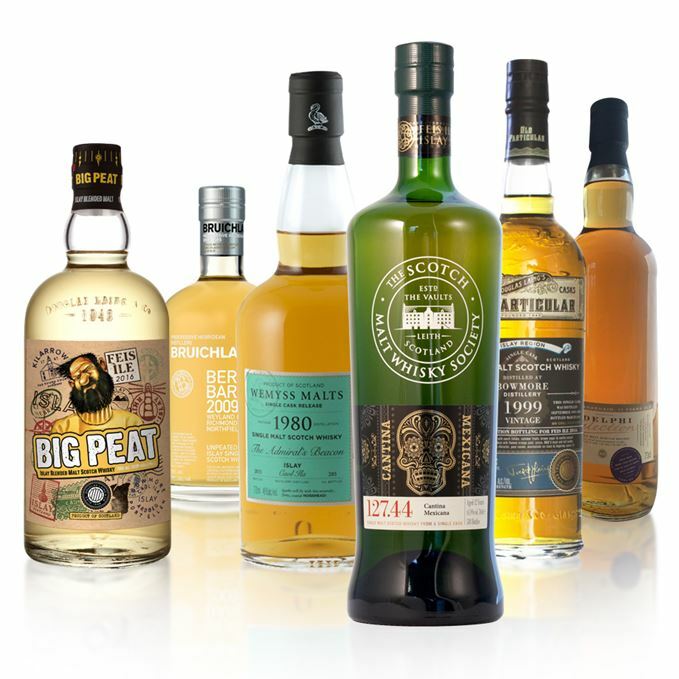 Peat fiends will have a field day, but the presence of Bruichladdich and Bunnahabhain broadens the range on offer. Robust and heavy. Cows munching on seaweed. Chestnut and cherry pipe tobacco, giving a thick, almost earthy weight to the integrated smoke. There’s a little hint of sour cream in the background. Has a burly complexity. Earthy, with charred tomato and chocolate, then some barley sweetness, spent fire, remnants of barbecued meat and beard oil. 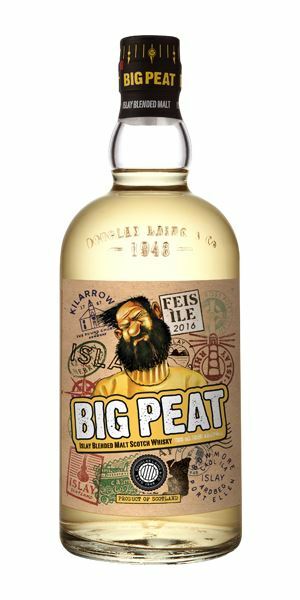 A massive and smoky beast of a dram, slathered with muck. Long, slightly hot and smoked. This is Port Charlotte in its most animalic, feral guise. As the byre bursts into flames, the beasts with their hides aflame flee into the fields, bellowing. Pale in colour. Starts with oyster brine, a little touch of verbena, a whiff of violet. Manages to be light but punchy. 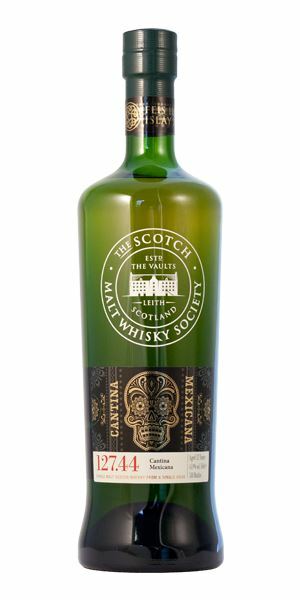 Opens out to sweetness, pear drop and green apple. Very bright and bracing. Immediate smack of smoke, then apple and melon rind. 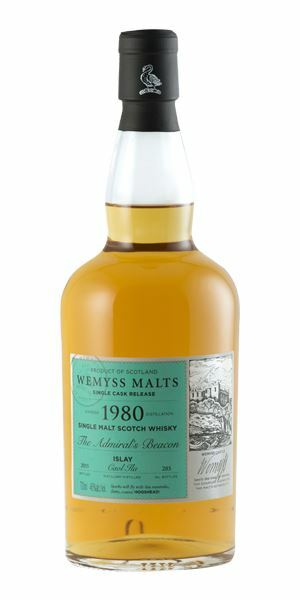 Needle-sharp with well-balanced peat, some smoke and a light mineral element which becomes increasingly strong. It’s not complex, but it’s fun and would make a great highball. Eating oysters beside a rockpool. Low smoke to start with. Instead you’re greeted with kumquat and scented peach skin, before a hickory-scented flame begins to lick among the concentrated orchard fruits. Has character, complexity and elegance. Like it. A soft and again slightly smoked start before the slow opening of the fruits. There’s more structure than you might expect from the nose. It begins to dry towards the back, where there’s salted crackers. Water makes it very juicy, with the exotic fragrance of long pepper. 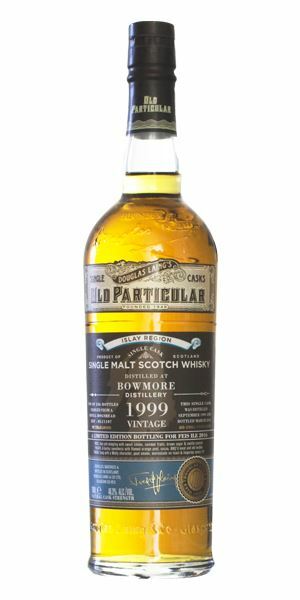 A really rather lovely and quite oily Bowmore. Well worth a look. The first chilly autumn night. You eat the year’s fruits and light the fire. Surprisingly sharp, even for 50%, with sweet cereal notes and a nutty, porridge-like element, then some lemon. Water brings out daffodil and nut, but it remains slightly raw and sterile. A young, vibrant thing with a bite that’s like a scone with too much bicarb of soda in the mix. The mid-palate though has a promising, soft, oat-like silkiness, then some light orange peel. When diluted, that sweetness remains, as do the nuts but there’s now a touch of unbaked pastry. An off-day at The Great British Bake-Off. Mary Berry frowns. There’s a very light smokiness to start with that mingles with a funky, cask-driven note reminiscent of the warming smell of a well-tended compost heap (that’s a positive in my mind, by the way). Then comes tea-soaked digestive biscuits and a whiff of wet kilt, before it all relaxes into polished brass and plum. Starts again with this slightly smoky element with some spices behind. Has real weight and length with a rich solidity to it. There’s heather and chewy fruit leather notes, while water shows more Brazil nut. Has the weight that Bunna’ gets from a great cask. At its best without the water. Recommended. The gardener rests and looks happily at his day’s work. The rain still falls. 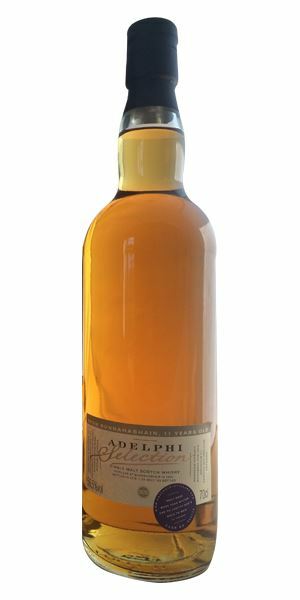 Identifiably Caol Ila from the word go, with that halibut oil touch, a mineral catch, putty, then angelica ginniness. That said, it is slightly restrained initially – stony even – and needs water to bring out russet apple, mirabelle, pear and a little grassiness. The maritime elements remain. A clean start with more weight than the nose. There’s a squirt of oils from the mid-palate onwards. The smoke is negligible. If it were a wine it would be a Loire Sauvignon Blanc. Water softens the fruits down a little. The brine sneaks back in. Fresh and, indeed, refreshing. As ever, Caol Ila delivers. Perhaps not the most complex bottling, but a good one nonetheless. Memories of Lal Waterson while sitting beside the Sound of Islay. Batch 43 27/05/2016 Aberlour, Balvenie, Fettercairn, Girvan, Invergordon and Mortlach – and not an NAS in sight.